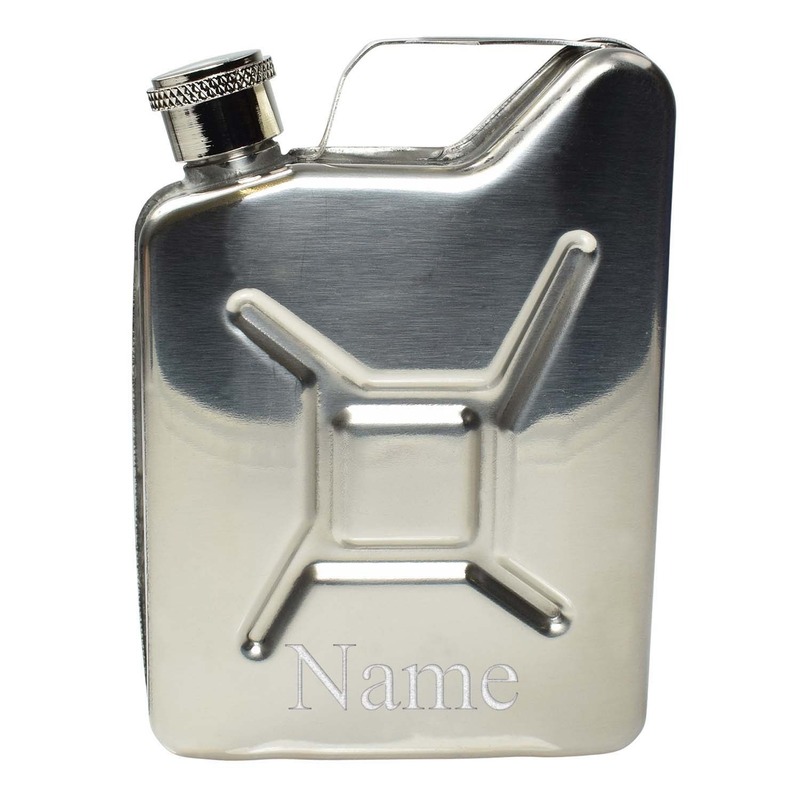 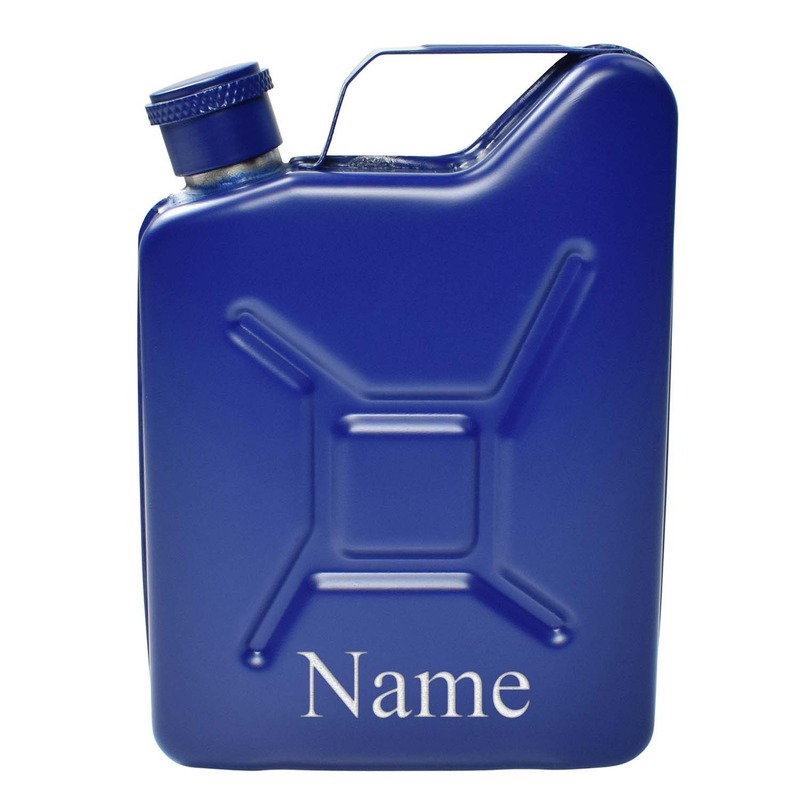 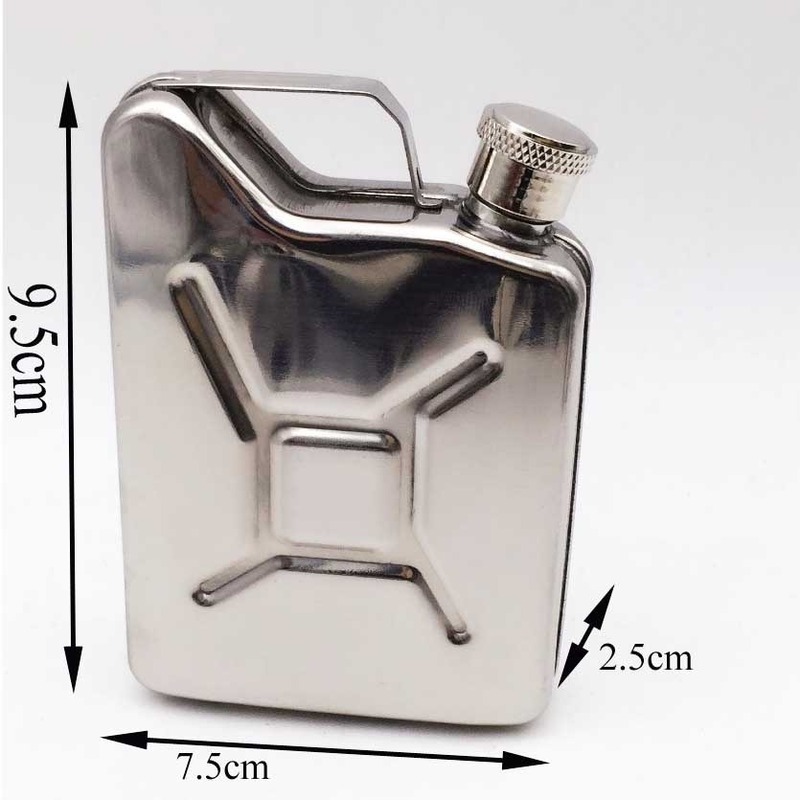 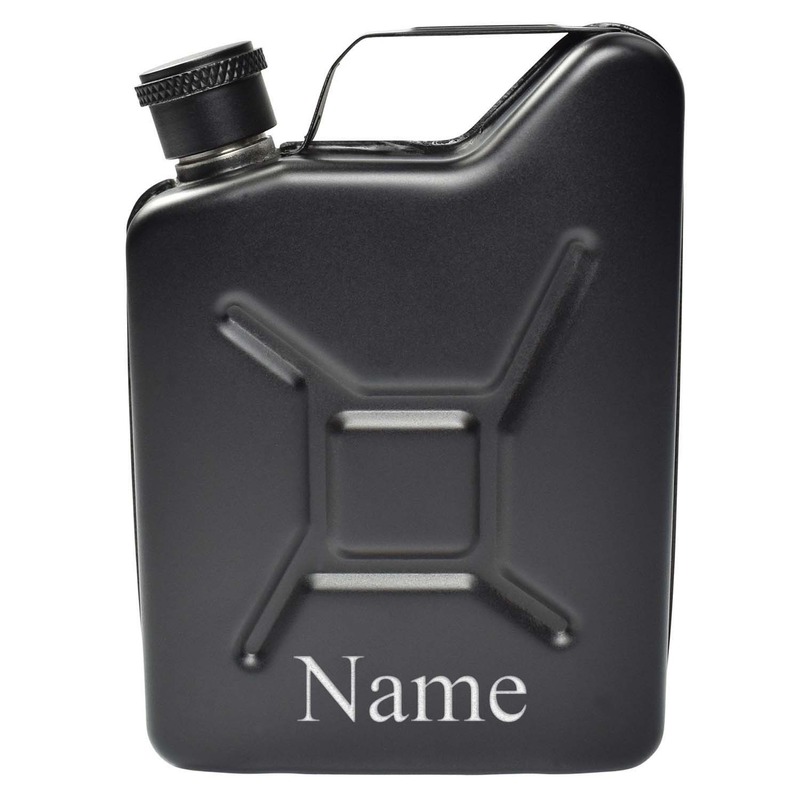 These fantastic jerry can flasks are a truly unique gift which are suitable for a small logo or text engraving. 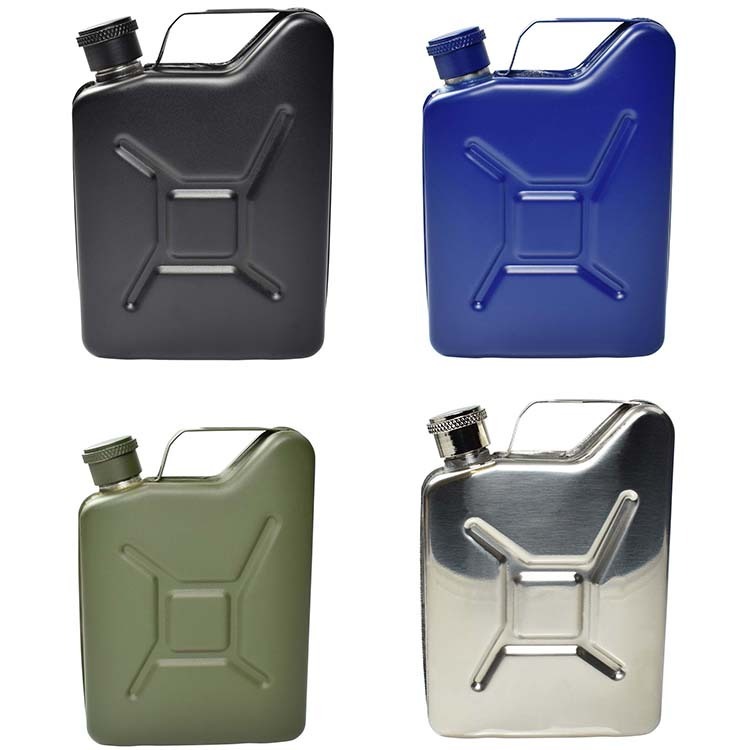 Availablein Black, Blue, Army Green or Stainless Steel. 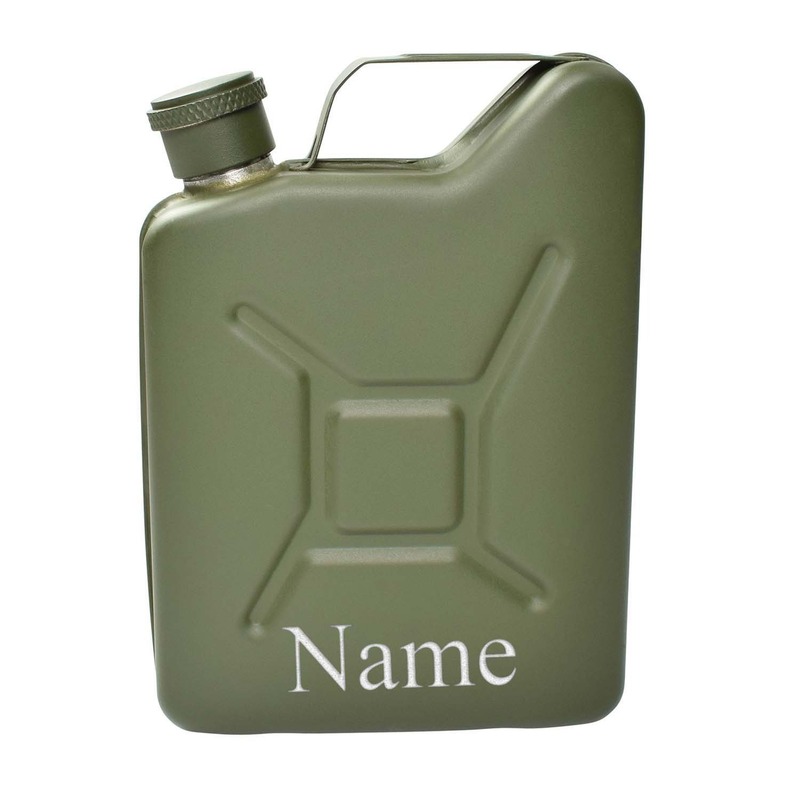 We would advise just a name or date to be engraved on these, any more and the text would be rather small.